Italian Chef Stefano Ghielmetti discovered his passion for food aged nine. Currently, Sous Chef at Bread Street Kitchen by Gordon Ramsay, Atlantis The Palm, he shares his tips for serving authentic Italian cuisine. Simplicity is key: Italian cuisine is really simple and based on quality ingredients. It’s also important to understand the processes and the origins of the cuisine. Regional differences: Italy has 20 different regions each with its own culinary traditions. The North is famous for its aged cheese, butter and produce such polenta, slow cooked meats and risottos. Central Italians experience wholesome bean soups and savoury roasted meats. Parmesan and amazing cold cuts deserve a mention. Southern Italy relies on its olive oils and fresh cheeses such burrata and mozzarella. Venturing further south you will find a greater reliance on local seasonal vegetables and excellent seafood. Mythbusting: Italian cuisine has been mistreated around the world. It is a very well-known cuisine, and so everybody wants to adapt it to their style. But chicken in pasta isn’t something we do, and we don’t use cream in every recipe. And while I’m open to experimenting, pineapple on pizza is a no! Al dente is important: In Italy, we are very picky. Pasta has to be al dente, with real bite, so you could almost break your teeth on it! Pasta is also more digestible if it isn’t overcooked. Signature dishes: Crab ravioli and risotto. 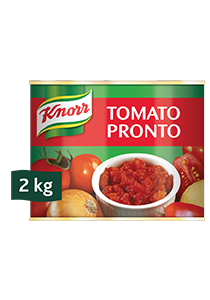 Made from sun-ripened tomatoes from the Emilia-Romagna region in Italy. They're cooked, peeled, de-seeded, and cut into a unique concasse, giving you the perfect base for tomato sauces and soups.